That famous arch reads The Biggest Little City in the World. No, this is not from hubby who took the trip to Las Vegas last autumn but this is another postcard I won from a blog contest. Told you I got a handful. 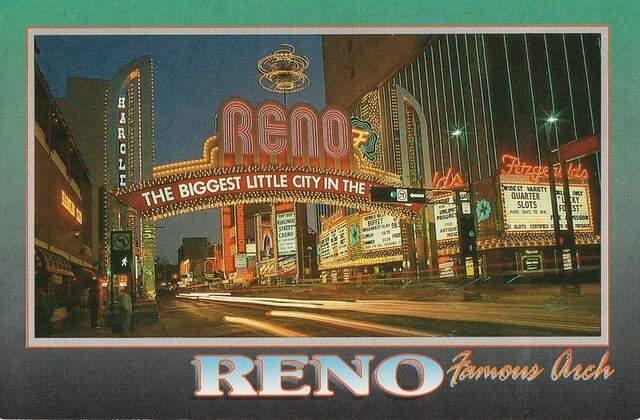 Like Las Vegas, Reno is known for its casinos and gaming industry. Just looking at this postcard, you know that nightlife thrive so lively here. nice one..how i wish I could visit this place someday..
libre lang mangarap kaya go lng ng go..
from PP mommy..like and +1..